Grizedale Forest is situated to the east of Coniston Water in the heart of the Lake District. 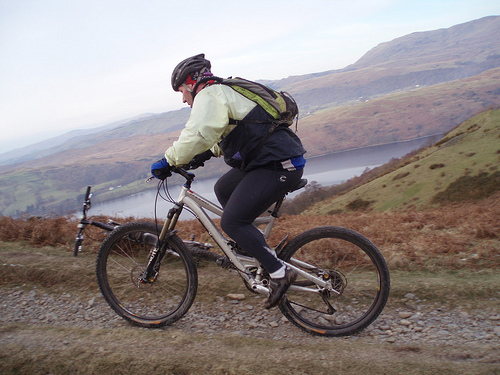 There are plenty of different routes that you can choose to bike on, from gentle family routes to challenging and demanding uphill burns and exhilarating downhill sections. The 16km challenging North Face trail is split into nine different but challenging sections including steep downward parts and technically demanding parts. If you feel like improving your skills before you take on the North Face, there are skills classes where you can improve your riding technique, especially on some of the more precise parts of the route and there is a bike hire shop and repair centre on site too. I just love skydiving! 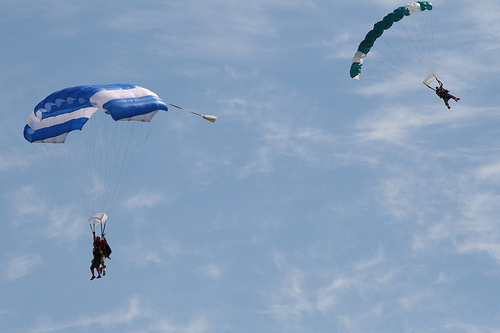 There really is no feeling like it, from being strapped to your tandem partner and taking off in a tiny plane, then opening the door and free falling towards the ground before opening the parachute and drifting gently back down to the ground. Every bit of it is amazing! When you are free falling to towards the ground everything is a total blur but as soon as the parachute opens the views from the unique bird’s eye perspective are truly stunning. Skydiving somewhere as scenic as the Lake District means that you get amazing views of Windermere, the fells and out to the sea. Make the most of the natural lakes of the Lake District and have a go at wakeboarding on Windermere! 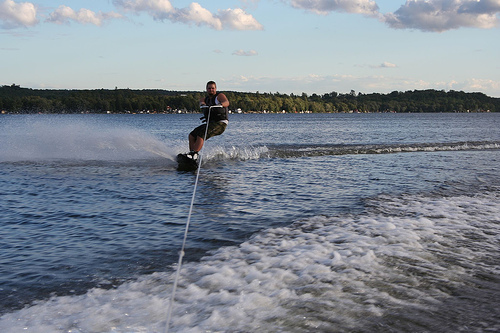 Try to stay upright as you are pulled along by a power boat across the surface of the lake. Plus, you can take in the lovely scenery as you do it. Go with a bunch of mates and you can chill out on the boat whilst they have their goes too. You can try out wakeboarding on Windermere as well as water skiing, wind sailing and kayaking. Paintballing is the ultimate group activity! It means that you can go into combat with your friends for fun. Whether you want to be a sniper and hide from your opponents, or want to take a risk and run straight into the action, you are sure to have a great laugh paintballing. 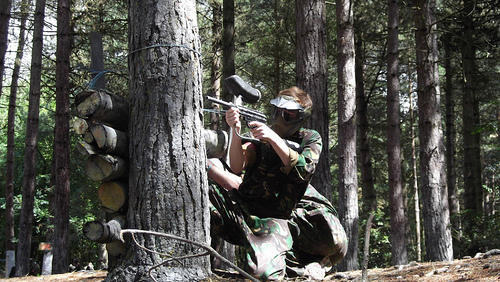 Paintballing centres are usually set in contained forested areas with lots of structures to hide from your opponents. Protective clothing and all the equipment you need is provided, but you might be a bit sore afterwards where you have been shot. With so many extreme activities to try, an adventure trip to the Lake District really does make sense! There are loads of different accommodation options, from posh hotels to budget B&B’s, Sykes Holiday Cottages, hostels and campsites, so whatever your budget there are plenty of options for your trip. Accommodation in the Lake District is always in high demand, even in the winter months, so it’s a good idea to book well in advance. This entry was posted in Air Sports, Europe, Featured, Land Sports, Mountain Biking, Paintball, Sky Diving, Travel, Wakeboarding, Water Sports and tagged Adventure Sports, England, Extreme Sports, The Lake District. Bookmark the permalink.